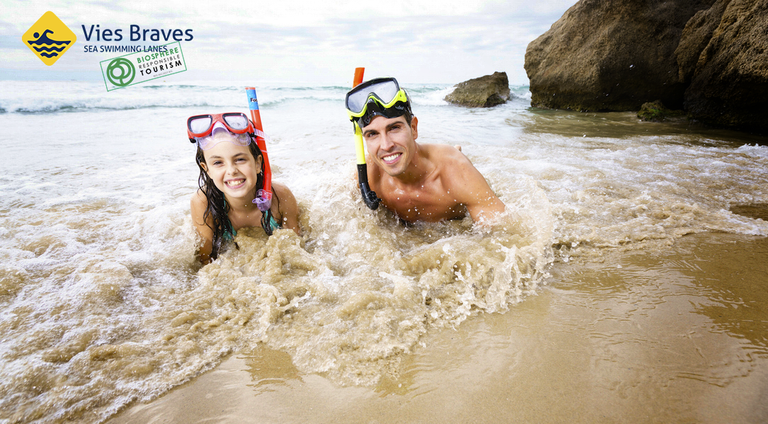 Salou allows you to discover the magic of our coastline’s seabed thanks to the project Vies Braves. What is it about? These new routes have been especially identified and studied so that open-water swimmers and triathletes, as well as swimming and sport clubs, can enjoy the variety and richness of Salou’s sea floor. The new activities –completely free– will alternate swimming and snorkelling, and will rely on experts that will ensure your safety at all times. In the same way, you will find information boards –at both ends and in three languages– with details about the seabed and its biodiversity, main characteristics of the route and recommendations of use and safety.